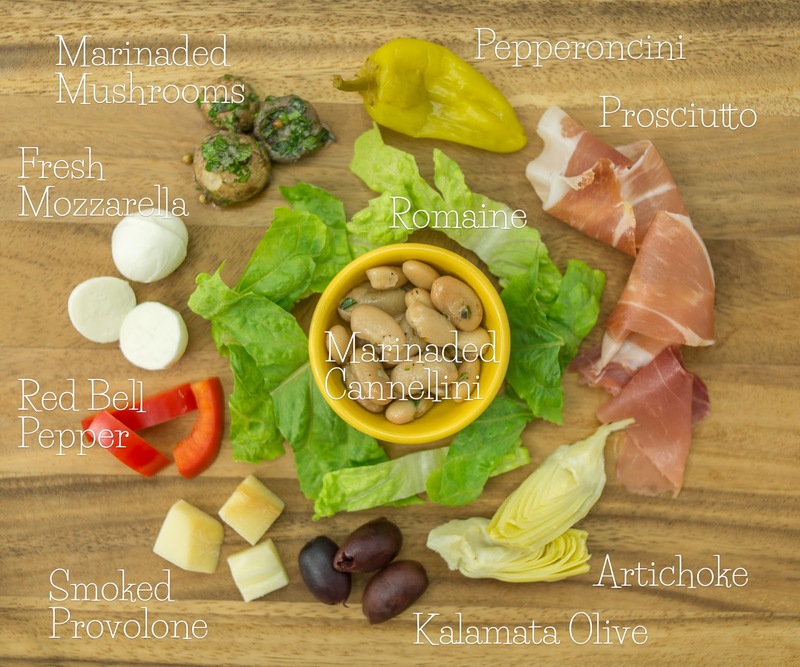 I have always loved antipasti. It almost feels like an adventure to me, navigating all of the different cheeses, olives, veggies, pickles, and other delicious snacks. 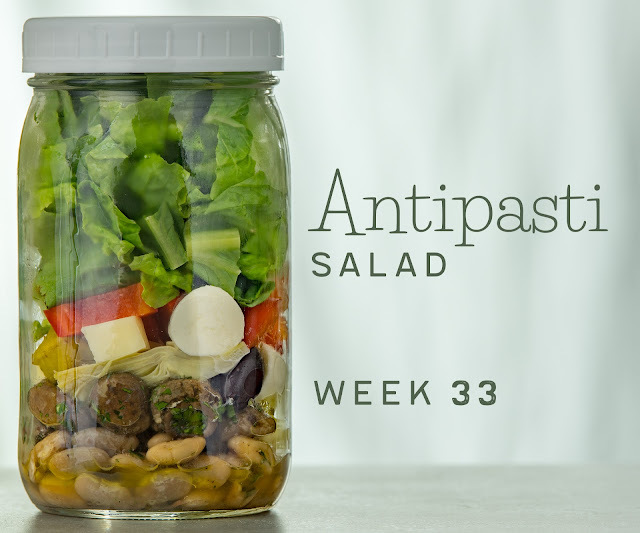 I often over-nibble and end up too full for my meal, so why not just make a meal out of antipasti? Adding fresh, green romaine and crunchy, vibrant bell pepper to the traditional, flavorful, rich ingredients lightens up this salad for a satisfying lunch. Enjoy! Pack the salads: divide the cannellini and mushrooms evenly among 4 tall quart-sized containers. Layer the pepperoncini, artichokes, olives, cheeses, prosciutto, bell pepper, and romaine in the jars. Refrigerate until serving. Enjoy your salad: invert your salad onto a plate or into a bowl. TIME-SAVING TIPS: Use 1 can cannellini beans, drained, rinsed, and patted dry, for the home-cooked beans. Substitute store-bought marinaded mushrooms from the olive bar at your local grocery store for the marinaded mushrooms. SPECIAL DIET SWAPS: This salad is gluten- and nut-free as-is. For a vegetarian salad, omit the prosciutto. For a vegan salad, also substitute your favorite vegan cheese for the mozzarella and provolone.